You've read the books, you have browsed the internet (obviously) so now you need DVD. Your collection of Triumph TR7 and/or TR8 artifacts and memorabilia won't be complete without it. John Clancy - a TR7 owner of many years and a bit of a film buff - has researched the history of the TR7, from the early concepts through to the cancelling of production and put it all together into into a film 'Code Name: Bullet - The Story of The Triumph TR7 & TR8'. So whether you are a dedicated 'Wedgista' or are (un)fortunate enough to be living with one this DVD represents the chance to see some rare archive material. The film contains footage never previously available that has been donated, purchased or used with permission from numerous sources. The tale begins with Triumph itself - the origins of the company, the links to the Motorcycle manufacturer , the purchase by Standard and it being swallowed up by the monolithic (and patently sick) British Leyland corporation. 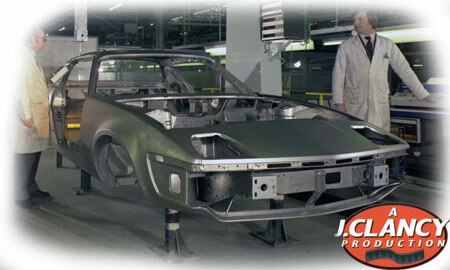 Tracing the origins of the Triumph TR7 and why - with BL owning numerous other marques the 'wedge' became a Triumph. Footage includes (what must be a first) a display of the Lynx & Broadside projects, together, out in the open. And though John may disagree (as he spent a day with these cars), the film has not swayed my view that the Lynx was a pretty ugly vehicle. You may differ and this film may be the only chance that some people may get to view the cars in anything other than a still photo. Factory mock-ups are catered for too, with some interesting comments from the TR7 designer Harris Mann, as he gives an exclusive interview for the film.... a discussion that covers the targa-top ideas and his thoughts on those troublesome pop-up lights! 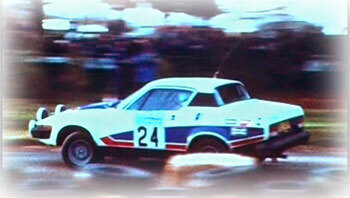 For the many rally fans amongst the TR7/TR8 enthusiasts there's a pretty extensive look at the rally programme. Taking us from the Sprint powered cars to the v8 powered monsters that proved so successful. Material that was previously only known to those close to the project is available exclusively for the first time - thanks to number of contributors. 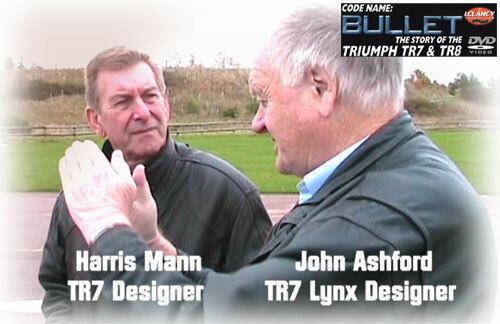 The film includes archive footage of John Buffum and Tony Pond, in addition to recent material featuring the cars owned by Steve Rockingham, Bert Smeets, Neil Sawyer and Steve Thomas. The DVD is available in two flavours - a single DVD or for those in the TR Drivers Club there's the opportunity to purchase a two DVD set, the additional disc contains footage that the producer (John Clancy) has shot at teh Club's National Weekend of the past years; the two disc version is available only to club members.